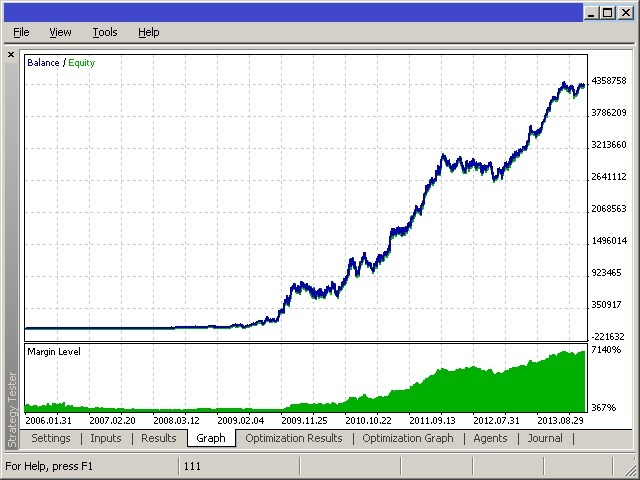 This is a professional trading robot, which implements the trading strategy based on the StandardDeviationChannel channel. A signal is formed when the price rolls back from the borders of the standard deviation channel If the price breaks or touches the upper border of the standard deviation channel and then returns back, it's the signal to sell. If the price breaks or touches the lower border of the standard deviation channel, then it's the signal to buy. The EA correctly processes errors, and works reliably in the market. Can work with the initial deposit from $100! It is important to choose the direction of the EA operation: both sides, only buy or only sell. Also, the signal can be inverted. 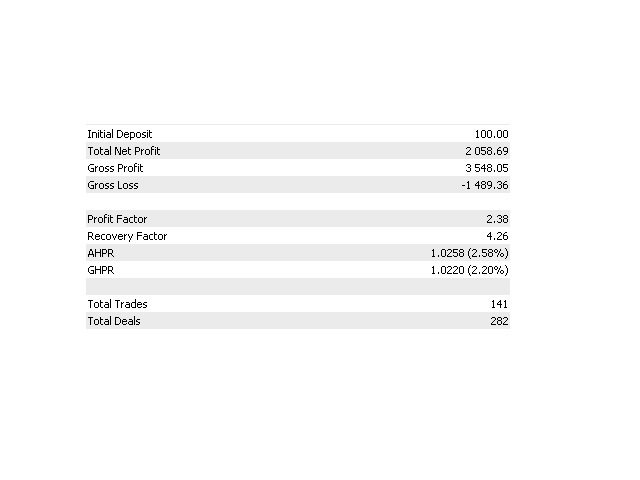 The Expert Advisor uses the basic concepts, breakeven, trailing, stop loss and take profit, as well as closing by an opposite signal. An important function - the correct calculation of risk. 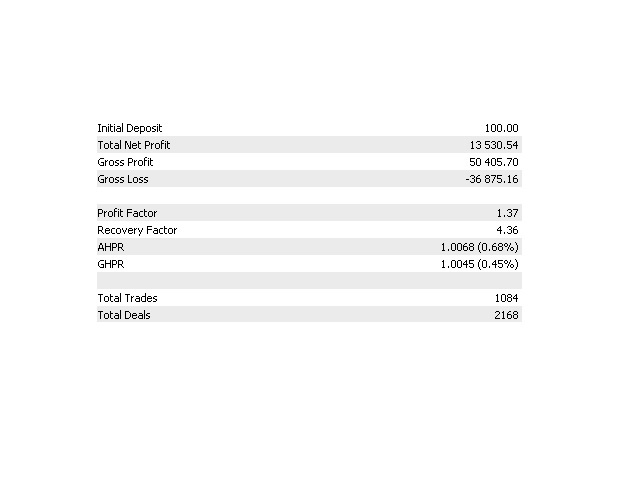 It does not have a function of one lot exit, it uses Risk, obligatory stop loss, based on which lot is calculated as allowed loss with the set risk value. Work Period - the period, on which the EA operates. 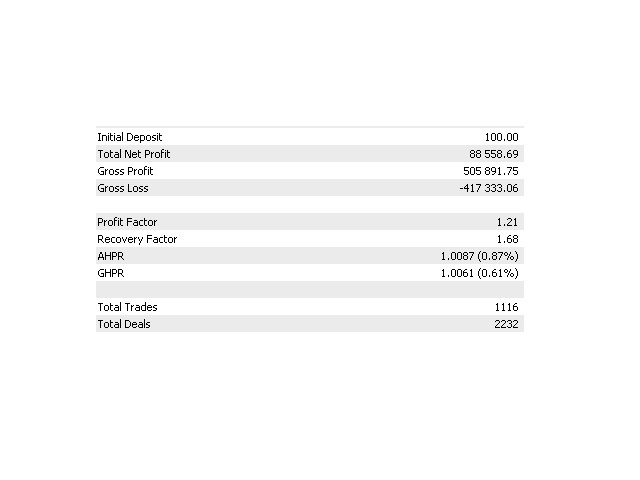 TakeProfit - the take profit level. 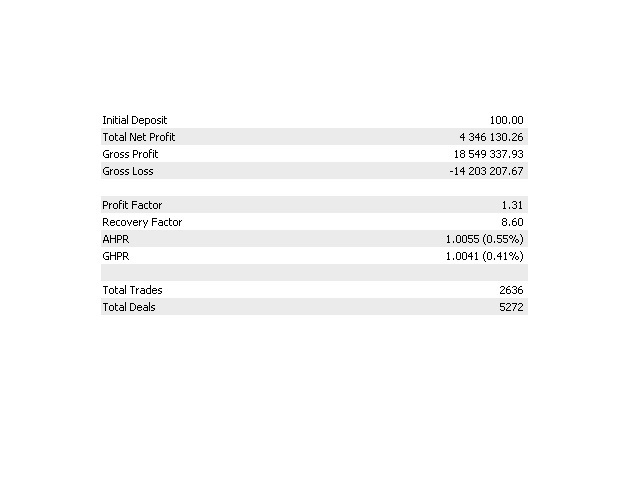 Trailing Breakeven - breakeven level, if 0 - disabled. Trailing Start - trailing start level, if 0 - disabled. 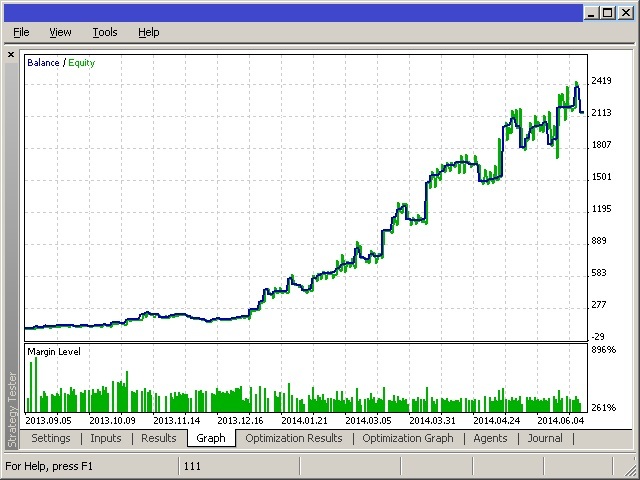 Trailing Stop - trailing level, if 0 - disabled; trailing in points, active period based trailing. TrailingStep Period - period based trailing. 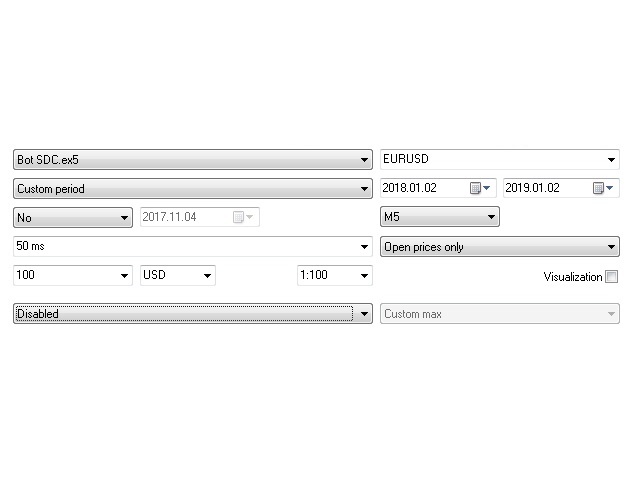 Prohibit new series - if you need to close the current position and stop opening new ones, enable this option (maintaining position before closing the EA). Inversion - entry signal inversion. SignalBar - the bar to start analyzing the indicator (1 means the first completely formed bar). 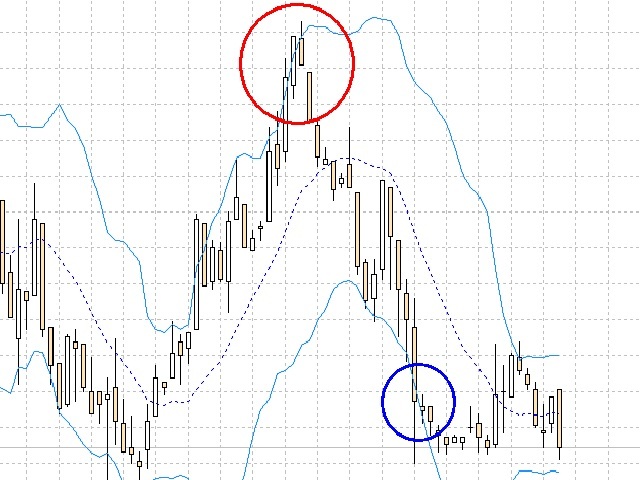 Signal Period - the period on which the indicators work. 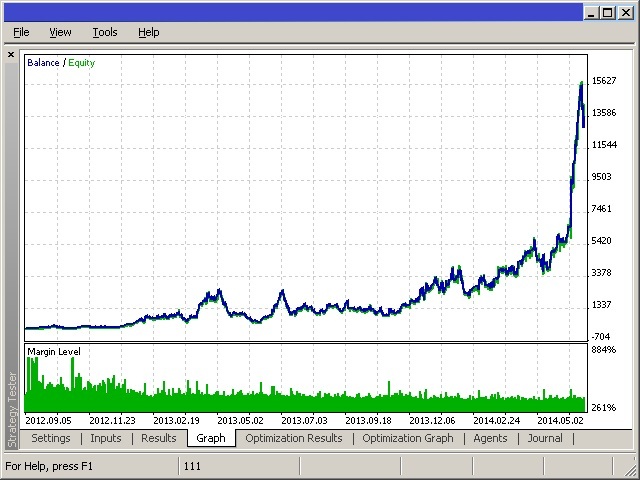 AppliedPrice – the channel operates with the specified price type. Better optimize it using the Custom max mode with the progressive optimization function that can increase the potential forecast. Set the time interval equal to the working period (Work Period), this period must be less than any other in the settings. To increase optimization speed, set only open prices. Set the desired time period, and if necessary the forward period. 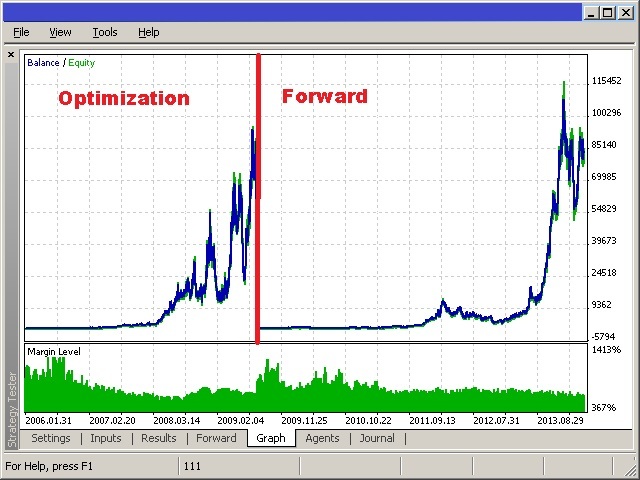 It is important to choose Signal Period before optimization, since it determines the result. If the period is too small and the noise level exceeds the force of the signal prediction, the result will be lost. If it's too large, it will be ineffective and have little positions. Start optimization a few times in a row and estimate this parameter. In the optimization, by default, operation in the specified side and closure by a signal are enabled. Trailing does not use points, but the last bar of the specified time interval (TrailingStep Period), (Trailing Stop=0).